Tennessee remains the No. 1 team in the latest Associated Press Top 25, but Duke is inching closer to retaking the top spot. The Blue Devils closed the gap between themselves and top-ranked Tennessee thanks to an 81-71 win at Virginia over the weekend, with just 19 points separating the two teams. 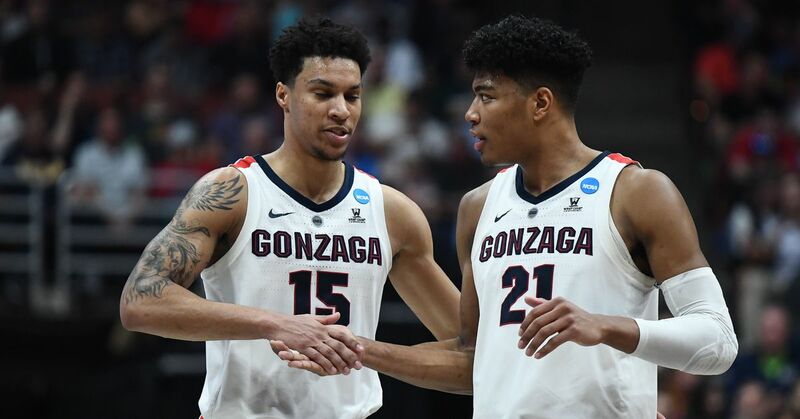 Gonzaga, Virginia and Kentucky round out the Top Five. While the nation's top teams mostly got out of the week unscathed, Virginia excepted, things got a little shakier toward the bottom of the Top 10. Michigan State dropped its third straight game in a trip to Illinois before finally righting the ship at home against Minnesota. The Illini forced 24 Spartans turnovers in the frustrating upset. "Illinois played hard. I'll give them credit for half of the turnovers," Michigan State coach Tom Izzo told reporters. "But we had, what, 28 turnovers? Something like that. I mean, that's completely ridiculous and that's all on us." Marquette played a pair of one-point games, losing a thriller to St. John's before handing Villanova a 70-69 defeat. The defending champs had opened Big East play with 10 straight victories before being undone by a 38-point performance from Markus Howard. "We just came out with a competitive edge, something to prove," Howard told reporters. "I think we have a lot to prove still, but today especially, we just wanted to bounce back from the game we had Tuesday. That was not the team we were, that's not the team we've been. Tonight, we really just bounce back and do the best way we could to pick it up on the defensive end." Virginia Tech dropped 11 spots to No. 22 after a frustrating two-loss week. The Hokies could not hold home court against Louisville and then saw their offense vanish in a 59-51 loss at Clemson. "They defended us incredibly well," Virginia Tech coach Buzz Williams told reporters. "They were prepared for everything." Virginia Tech was the only Top 25 team to post two losses. As a result, the rankings stayed largely stagnant from the week before. Florida State's five-spot leap to No. 17 was the largest, while Purdue, Houston and Texas Tech each moved up three. Virginia Tech's 11-spot descent and Iowa State's six-spot drop were the worst. No teams entered or exited the Top 25.